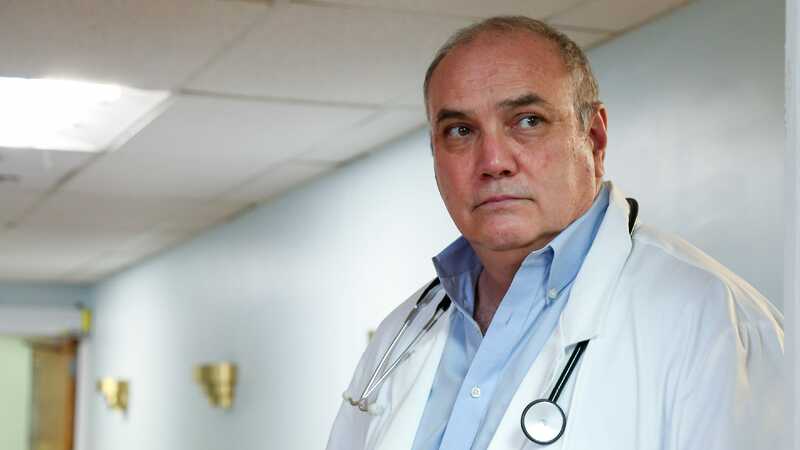 Many healthcare professionals undergo sexual harassment training when they start their career, but compliance training can often be boring, meandering, or at worst uninformative. 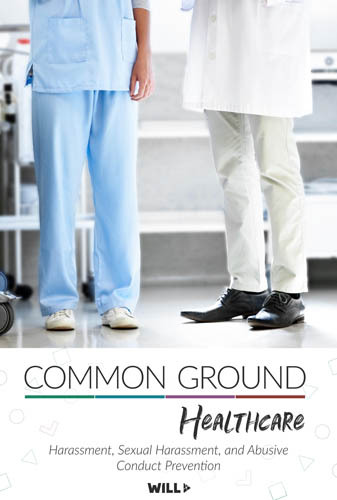 Presented in partnership with Yale New Haven Health System, Common Ground Healthcare helps organizations cultivate a more professional environment from the start and make a good first impression, rather than torture staff. Contact us to make a difference in your organization. We can host your program on our LMS or on multiple delivery platforms to ensure your users can access what they need. This program can be customized to include your logo and branded assets. We can also add contact information, welcome messages, and relevant HR policies. Our programs are designed from the ground up to look amazing on phones, tablets, desktops, or laptops. No one will miss a thing. 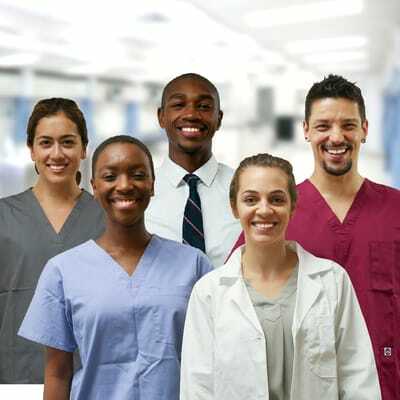 Common Ground Healthcare is continually updated to satisfy the strictest state requirements in California (AB1825, AB2053, SB1343, SB396), Connecticut, Maine, Delaware, and New York. 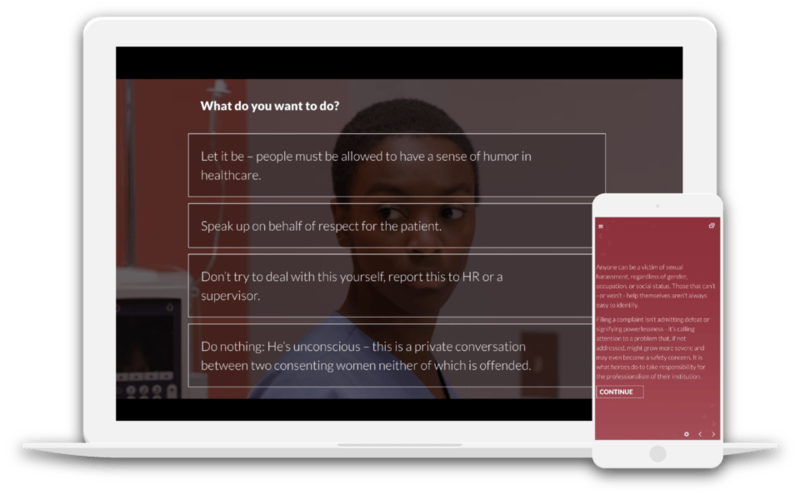 Common Ground Healthcare is miles ahead of other anti-harassment training yet competitively priced. Volume discounts are available. Contact us to find out how we can exceed your training expectations. Common Ground Healthcare won the Horizon Interactive Best in Category Award for Video Instruction. Don't take our word for it. Try some of it for yourself.